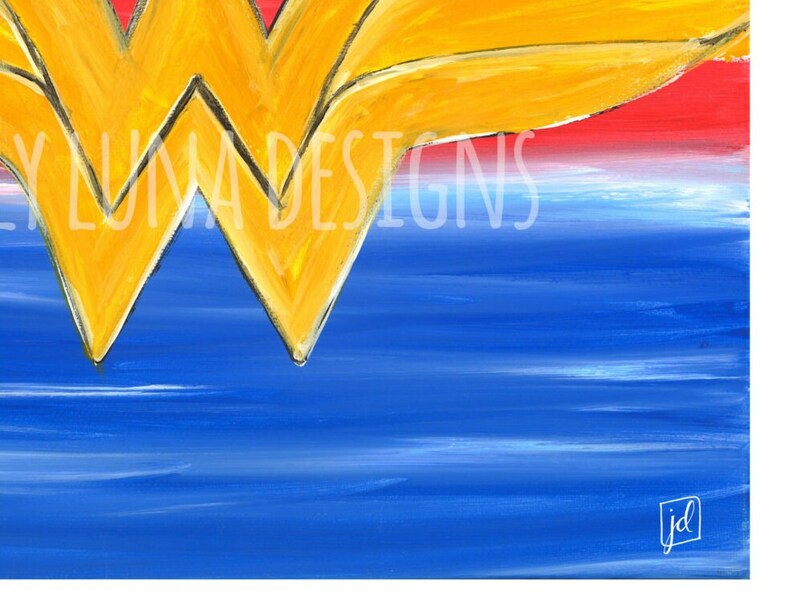 This is a reproduction print version of an acrylic painting inspired by the Wonder Woman symbol. 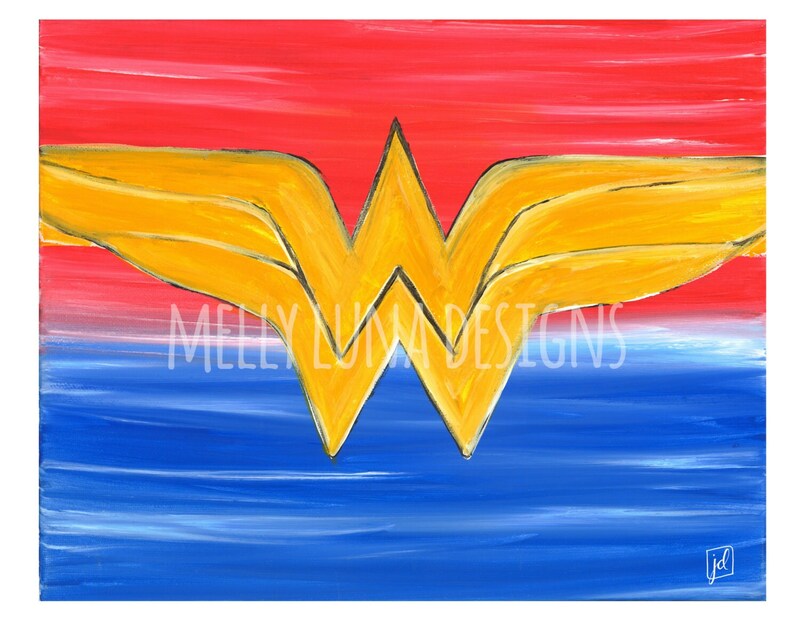 The original art was created with acrylic on canvas. It was then scanned in using a high quality scanner at printed on semi-glossy cardstock at Allied Photocopy local to Huntsville, AL.